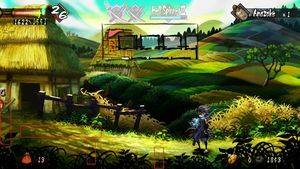 Muramasa: The Demon Blade unfolds during feudal Japan's Genroku era, a volatile time marked by warring factions and grave civil unrest under the reign of the evil Shogun Tsunayoshi Tokugawa. 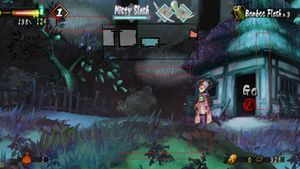 Play as two heroes thrust into this treacherous climate as they venture across the dangerous countryside in a race to collect an array of legendary cursed swords before the vile Shogun can reach them. Who will you encounter? Friend of foe? 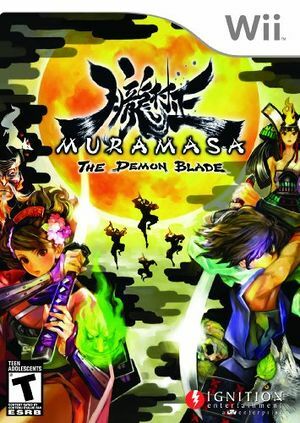 Muramasa: The Demon Blade is capable of using both GameCube controllers and Wii Remotes. If a physical controller is set to emulate both a GameCube Controller and a Wii Remote concurrently, it will operate both devices at the same time. To fix, migrate controls to use separate physical controllers. 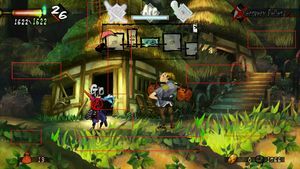 The graph below charts the compatibility with Muramasa: The Demon Blade since Dolphin's 2.0 release, listing revisions only where a compatibility change occurred. 2.0 Windows XP AMD Athlon II x2 215 @ 3.45GHz NVIDIA GeForce 7025 Complete Momohime story (PAL version). Most time run at 46-50FPS (Sadly I can't play OdinShere at this speed), in some menu drops to 35FPS. You'll get 5-15 more FPS on 2.0 then on latest revisions (r7605). Get some very minor texture bugs: catfish (at title screen) and head of broken Buddha statue (at last stage) - have black squares. 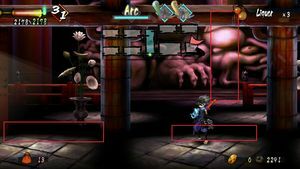 Game may hanging then fighting numerous enemies - if enable JIT recompiler it seem to hang less often †.fl.l). 3.5-663 Windows XP Pentium 4HT NorthWood @ 3.05GHz ATI Radeon HD 3450 Looking playable. Complete 1 level. Get 55-40% of speed in game. Audio is working OK, no big problems detected. †.fl.l).